Most schools have one designated “Dig Pink” game night to raise money for breast cancer research. But six area girls volleyball programs have decided to supersize the event. 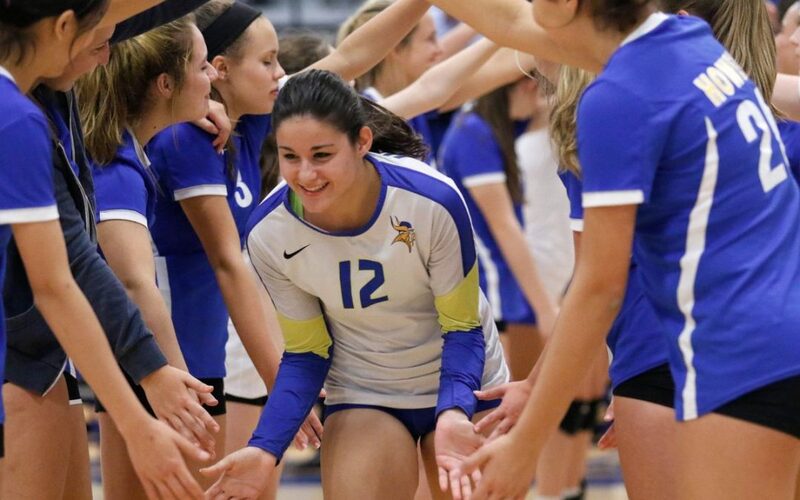 Francis Howell will play to host three matches featuring six area teams Saturday to benefit the Side-Out Foundation, a national charity that funds research in stage IV metastatic breast cancer through volleyball events. Cor Jesu, No. 4 in the STLhighschoolsports large school rankings, kicks it off at 2 p.m. against Webster Groves, a team on the cusp of the large school rankings. No. 2 Lafayette takes on Parkway West at 3:30. No. 7 Howell caps off the event at 5:30 against Troy. One of Smith’s close friends is a breast cancer survivor. Lafayette’s Dig Pink match last season was against inter-district rival Marquette. Lancers coach Zach Young said the girls really get up for the event. Cor Jesu has even reached out to its all-boys catholic school counterparts, not only for fan support but for t-shirt sales. The effort was headed up by Cor Jesu JV coach Tim Haffner, who is also the head coach for De Smet.